I. Requirements for the M.A. Degree. Option A-thesis requires completion of 24 semester credit hours of graduate work, the writing and defense of a Master’s thesis (6 credits), and a reading exam, which will constitute the exit exam. Option B-non-thesis requires completion of 30 semester credit hours of graduate work and a reading exam, which will constitute the exit exam. The Program offers at least one graduate course/seminar combination in Greek and one in Latin each fall and spring semester. Seminar topics vary from one semester to the next. Students are encouraged to speak to faculty if they would like to see a particular topic addressed in a seminar. There are opportunities for independent study and research carrying course credit. The student must have a GPA of 3.0 or higher on a 4.0 scale for all graduate work. The student must earn at least half of the semester credit hours in graduate courses numbered 600 or above. The student must take at least two-thirds of her/his semester credit hours in regularly scheduled courses and seminars. The student must take at least two-thirds of her/his semester credit hours in Classics. A student's schedule of courses for each registration period, including any changes, must be approved by the DGS to be acceptable toward the fulfillment of degree requirements. Latin prose composition, CLA 501, is required of all M.A. students. A student must earn a minimum of nine credit hours in graduate courses in each of the classical languages and an additional six credit hours in graduate courses in either Greek or Latin or a combination of the two. When special circumstances arise, the DGS has the authority to revise this requirement. Authorized revisions will be issued in written form and placed in the student's file. The student may transfer up to nine hours from a graduate program at another university or from post-baccalaureate graduate work at UK. The student must have taken all course work within eight years of the semester in which the degree is awarded. The student must complete at least 24 credit hours in graduate courses, and meet the requirements described in A. The student must complete a thesis (which accounts for six credit hours), and defend a thesis in front of a committee. When a student has determined an area of interest, the DGS, in consultation with the student, appoints a thesis director. The student first prepares a thesis proposal—normally not later than the end of the second semester of graduate study—in consultation with the thesis director. When the proposal has been accepted, the DGS appoints a thesis committee of three members in consultation with the thesis director. The composition of this committee must meet the requirements of the Graduate School. This committee reviews the thesis proposal for approval, rejection, or alteration. When the proposal has been approved, the thesis director becomes the student's advisor. The student submits the thesis to the committee at least two weeks prior to its defense. The date of the defense is set by the thesis director in consultation with the members of the committee, the DGS, and the student. The thesis defense should be scheduled before May 15 (and at least eight days before the end of the spring semester for awarding a degree in May), and only in exceptional circumstances and with the agreement of the committee members during the summer months. The thesis must be accepted by the committee and signed by the thesis director and by the DGS before it is submitted to the Graduate School. Theses must be prepared in conformity with the instructions published by the Graduate School. Detailed instructions can be found at www.gradschool.uky.edu/thesdissprep.shtml. The thesis in its final form must be received in the Graduate School within 60 days of the Final Examination. Theses must be presented to and accepted in the Graduate School by the last day of the semester if a student plans to graduate that semester. Theses submitted by candidates become the physical property of the University of Kentucky. The University protects the authors' rights by placing certain restrictions upon the use of theses. The student must pass the exit exam. Normally, the thesis committee also serves as the committee for reading and evaluating the results of the student's final exit exam. For the exit exam, see below. The student must complete 30 semester credit hours of graduate courses and meet the requirements described in A. The student must pass an exit exam. The exam committee normally consists of three members appointed by the Dean of the Graduate School upon the recommendation of the DGS. D. Concurrent degrees: M.A. in Classics (Latin) and M.A. in Teaching World Languages (MATWL). 3 Latin courses (9 credit hours) from the Graduate Certificate in Latin Studies: these count toward the M.A. in Classics as well. 4 Latin courses (12 credit hours) from the M.A. in Classics program. CLA 524, CLA 525, CLA 528, CLA 624, CLA 625, CLA 628; all may be taken more than once with a different subtitle. Exit requirement: a minimum of 4 semesters of Greek or equivalent (beginners and intermediate level). III. Advising, Satisfactory Progress, Termination. The Director of Graduate Studies serves as advisor to all students. While the DGS assists students in developing a course of study and ensuring that all requirements for the master's degree are fulfilled, the student is ultimately responsible for knowing and meeting all requirements. A student's schedule of courses for each registration period, including any changes, must be approved by the DGS to be acceptable toward the fulfillment of degree requirements. A student is expected to make satisfactory progress towards an MA degree. Satisfactory progress involves a 3.0 or higher grade point average in all course work taken. The Graduate School requires that grades of “Incomplete” be made up within one year and before the awarding of a graduate degree; after a year the grades of “Incomplete,” except in special circumstances, revert to failing grades. The DGS confers with each student regularly, noting and recording the progress that the student is making toward completion of the degree. student's grade point average for work taken the previous semester was below a 3.0 or if a student has six or more credit hours of incomplete work. A student who is terminated will receive a written notice of the grounds for termination. The student will be offered an opportunity to meet with the graduate faculty. After meeting with the student, the graduate faculty may choose to reconsider the question of termination. All graduate students are encouraged and expected to become active participants in the intellectual and social life of the Program. Each year the Program sponsors distinguished classicists and educators for seminars and public lectures. The Kentucky Foreign Language Conference, held each April, featuring lectures by visiting scholars in modern and classical languages. 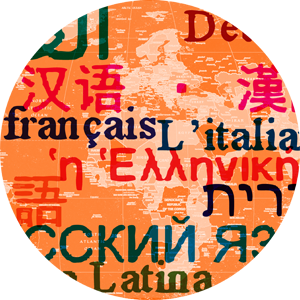 The Kentucky Foreign Language Festival, judged by Program faculty and graduate students. The summer conventiculum, a week-long active Latin conference, whose participants include leading exponents of active Latin from around the world. Weekly Latin lunches of the students in the Institute for Latin Studies. V. Filing for the Degree and Other Graduation Deadlines. A student filing for the degree must be enrolled as a regular student in the Program and must apply for the degree by the deadline published by the University. As part of the process the Program must file a form for the exit exam with the Graduate School at least two weeks prior to the exam. No exam can be scheduled if the student has an Incomplete grade or does not have sufficient hours to fulfill the requirements of the degree. All credits transferred from another university or taken under post-baccalaureate status must have been approved at this point by the DGS and by the Graduate School.